Long before the invention of modern science, some believed it possible to turn sand into gold. This ancient science of alchemy was believed by Isaac Newton himself. The idea of turning getting something from nothing was too powerful to resist. Yet today, this is possible. It is possible to create something out of nothing. We aren’t talking about breaking the laws of physics. Energy cannot be created nor destroyed. Matter cannot be created nor destroyed. But if you can write persuasively, you can turn words into money. Once upon a time there was a hypnotist. He was also a physician. People would come to see him for non-medical problems. Problems he and they hoped could be solved with hypnosis. They both tried, and it worked. Most of the time. But there was a problem. This hypnotist decided that using old school techniques of swinging watches and counting down from ten was too slow. He didn’t have time. He figured if he could heal them quicker, he could heal more people in the same span of time. This physician-hypnotist was Dr. Milton Erickson. One of the super-geniuses of history. He invented, from scratch, a completely new type of hypnosis. A type of hypnosis so powerful nobody knew he was using it. People would come in to see him. They’d tell him their problem. Dr. Erickson would say, “Hmm, that reminds me of a story,” and start talking. An hour or so later, their problem was gone. Forever. And they had no idea what had just happened. Because that hour had vanished along with their problems. This collection of powerful language patterns is also called covert hypnosis, meaning nobody knows it’s being used except the person using it. Lucky for us, a couple of scientists came along and reverse engineered all these patterns. One of these sets of patterns (within the Milton Model) is these goofy things called linguistic presuppositions. They allow you to hide ideas inside sentences. Ideas people won’t remember reading, but will end up thinking. And they’ll be think of them as if they are their ideas. Turns out these patterns are powerful for use in sales letters. You can hide all kinds of ideas about your product within the sales letter. Ideas like your product is ultra popular. Or you product has massive authority behind it. Or massive scarcity. Or anything else you can think of. Not only will you learn these powerful patterns, but the most important triggers to put into any sales letter. Common ideas like authority, social proof and scarcity. The three ideas that will make any product sell like hotcakes. Sir Isaac Newton (that same guy who believed in alchemy) also lost his shirt investing. Way back in those days was one of the first market bubbles. Newton was a smart guy, so he got in early. And he was even smarter when he got out. But then some of his friends got in later. And they were making cash. No matter how smart you are, when everybody is getting rich, included your dumb neighbors, even if you are the inventor of calculus and gravity, you are human. This is why and when Newton got back in and lost his shirt. Even Sir Isaac Newton, one of the smartest mofo’s who’s ever lived, couldn’t resist the most powerfully persuasive force in nature. If you think everybody is getting something good, you’ll want some. If you think everybody is getting something good and it will soon be gone, you’ll want it even more. The more you imagine that you are the only one that got left behind, that will make you do anything to get this. The fear of missing out, or FOMO, is the most powerful force in human nature. No matter what you are selling, if you can convince people it is popular, (social proof) it is going to vanish soon (scarcity) and if they don’t hurry up they are going to miss out (FOMO) you can sell steaks to vegetarians. This guide will show you exactly how to wrap the most persuasive language patterns around the most powerful and ancient human triggers. This will be very covert. They’ll read your sales page (or email, or watch a video) and suddenly feel like they have to get this. That if they don’t get this, they will miss out. Inside is one of the most powerful ideas in nature. One that physicists can’t quite wrap their minds around. This simple idea that has helped human thought since the dawn of time. This one linguistic pattern that you can use to slide them from the headline all the way to the buy button. Pacing and leading is a natural component to sales. You’ll learn to do this with words. So that everything they read will lead to the next line. Every line they read will match what they are thinking. By the time they get to the end of your sales letter, they’ll be nodding their head in agreement as if you are their best friend. One of the most important concepts in business is ROI, or return on investment. Since the dawn of time, all businesses faced the same problem. How to get more money OUT of the system that what you put in. To spend ten bucks and get back twenty. Because if you can spend ten bucks and get back twenty, you can spend ten million and get back twenty million. You’ll learn techniques that will help you jack your conversions through the roof. Start off with the slippery slope technique. Add some presuppositions where needed and then apply some post-writing, scientific editing. Hemingway said to write drunk and edit sober. You’ll learn to write like an artist, and edit like a scientist. What Will Positive ROI Do For You? Once you’ve got everything down, you’ll be able to write your own ticket. The ability to write a sales letter that will generate a positive ROI will make you one of the most sought after copywriters on Earth. Make no mistake, this will take practice. But if you are willing to put in the work, you will get the rewards. This isn’t a promise of instant riches. Not by a long shot. You won’t read this guide and suddenly start making money. But if you are willing to learn the skills taught in this guide, if you are willing to do the exercises recommended in this guide, you will. That is all you’ll need to earn a living. Wherever you can write and hook up online, you can get paid. (You might to make sure there’s an ATM machine nearby...). Once you demonstrate your ability to create a positive ROI for nearly any product, you’ll be the highest paid hired gun around. Plenty of sales guides will tell you that if you build enough value, you’ll overcome any objection. Not only will you learn why this isn’t true, but you’ll learn eighteen different patterns to flip any objection you hear into it’s opposite. A powerful reason to buy. Everybody’s got objections. One of the biggest problems with sales letters is they are a one way street. If the reader starts to think of any objection, there’s not much you can do. Which is why you’ll learn not only how to brainstorm every possible objection beforehand, but to also turn that objection into another reason to by. The way it will come across to your readers is before any objections make it from their subconscious to their conscious, they’ll already be flipped around into more reasons to buy. 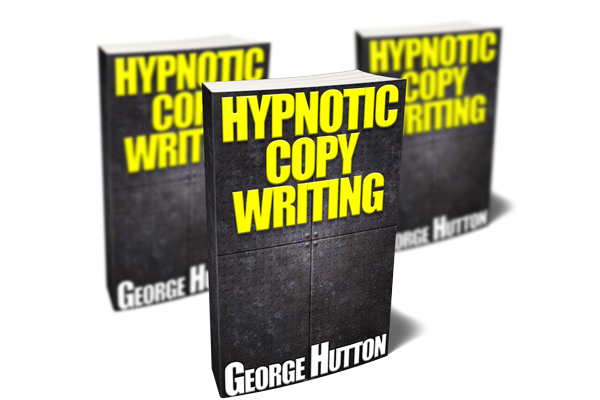 This one trick is enough to make you the most sought after copywriter on Earth. Combined with everything else? You’ll be untouchable. Once again, we must stress this will not happen quickly or automatically. If you are willing to do the work, you will get the rewards. You can work from wherever you want, whenever you want, and command the salary you want. And they’ll be happy to pay you, since you will be able to turn readers into buyers. Doing the exercises and drills in this guide won’t just make you one of the best copywriters around, but since the language patterns will be programmed into your neurology, you’ll also become more persuasive and influential than anybody. Get this guide now and start making some real money. 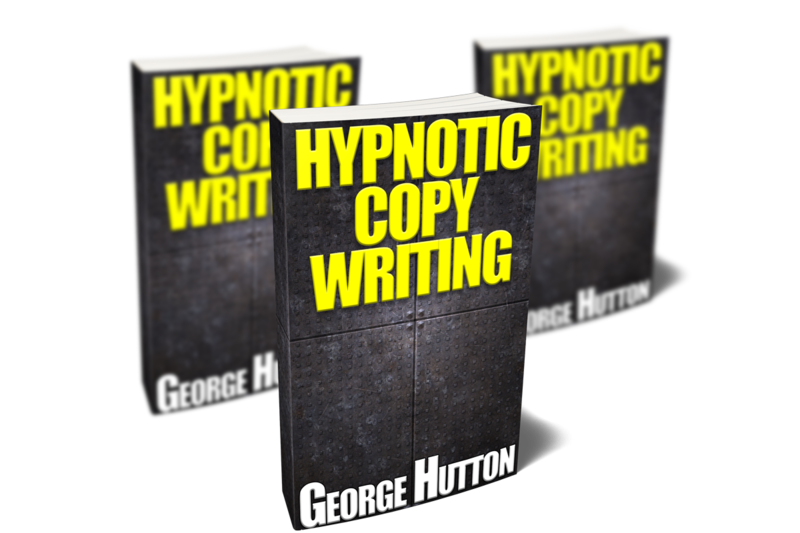 Once you develop your hypnotic copywriting skills, you’ll turn thoughts into words. Those words will turn readers into buyers. Every time somebody buys, you get paid. Get this guide now and write yourself rich. The sooner you start practicing the skills in this guide, the sooner your words will turn into income. Skills became sales pages. Sales pages become real income. Real income turns into the UPS guy delivering whatever you want to your door. Even if you never want to leave your house again! Get this guide now and start getting paid.